Cowan Electrical is a team of electricians based in Sydney's south. We have a reputation for quality service and attentive customer care. Our expanding team of electricians have a wealth of experience working on jobs big and small. No matter what your query, Cowan Electrical can help you out. Get in touch with our office to find out more. 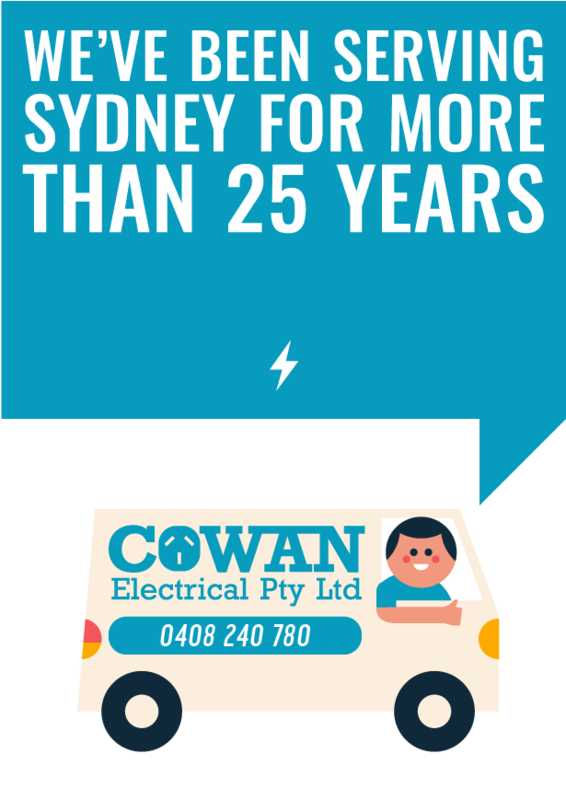 Cowan Electrical has been powering up Sydney homes for more than 25 years. We have a strong record connecting new builds with up-to-date technology and providing urgent assistance for customers in need of a quick and safe repair. We service a wide variety of strata buildings throughout Sydney and are well versed in the particular issues strata managers, owners and tenants face when it comes to keeping their electrical work safe and efficient. A safe and efficient workplace demands special attention to maintain electrical services. We have a long history of keeping commercial and industrial workplaces in Sydney up to scratch. Contact us to discuss how we can safeguard your business. 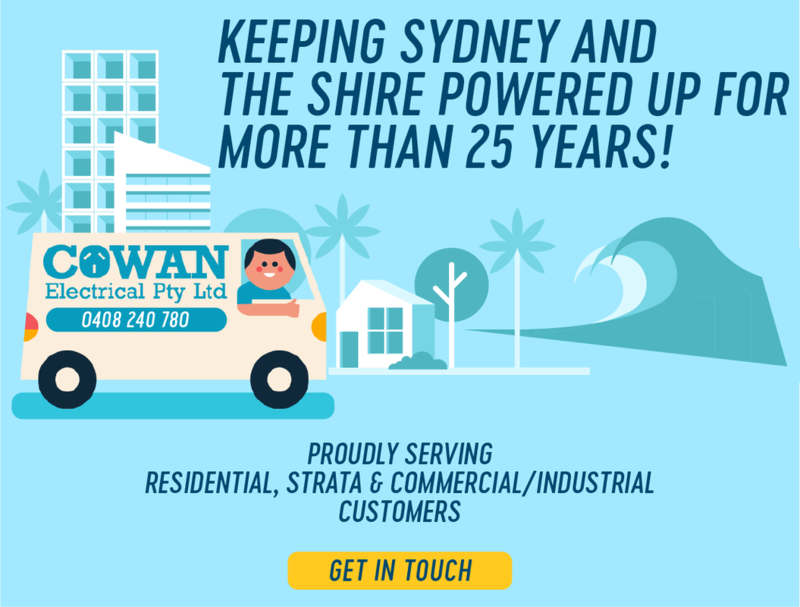 Cowan Electrical proudly serves Sydney and the Sutherland Shire.